Money is welcome anytime and anywhere. Days when one needs to depend upon a stable job to earn are history. Nowadays, technology and outsourcing innovations have made it possible for everyone to make money. Whether it is to get rich quickly or to meet basic living expenses, several options of making cash fast are easily available. One such an option is to become an Uber driver or partner, the largest autonomous taxi company in US and the world. Figures for May 2017 of US Bureau of Labor show that 4.2 percent American nationals are jobless. There are various reasons for joblessness. One of them is economic slowdown that several countries in the world are witnessing nowadays. Colleges and universities are churning out many more graduates every year. The number of legal and illegal migrants to the US is on the rise due to conflicts and political turmoil in various countries. In such scenario, it is imperative to have a job or at least a stable source of income. Regardless of whatever reason you need money for, Uber provides excellent solutions. Becoming an uber driver or partner with Uber helps you meet your daily expenses, become a responsible member of the society and live a respectable life. You do not have to depend upon Social Security or government dole. Uber promises an assured weekly payout of $350. This is $70 per day, which is good enough to keep yourself out of financial problems. Uber offers plans that you can tailor-make to suit your needs. You are US citizen or possess document that explicitly state you are allowed to reside and work in the US. Your age is 21 years or above. You possess at least three years driving experience. There are no major traffic offenses listed against you- including Driving under Influence (DUI) and similar alcohol, drug related police records. Becoming an Uber partner is easy but requires you to meet certain strict criteria. Remember; represent the world’s biggest autonomous cab company. Uber is committed to providing superior quality service to customers in the US and worldwide. The company will not tolerate any compromise of its well earned reputation and brand identity. Your driving license must be instate: Means, it must be issued by the state in which you are dwelling at time of applying. Keep any other driving licenses you possess since they will serve you well. You must possess a four-wheel sedan car in excellent condition. The car should be not more than 10 years old. The car you intend to use as taxi must not have any markings, advertisements or other legend mentioned on the chassis. The car’s registration should also be issued by the state in which you reside. Your vehicle must have valid instate registration. That you do not have a police record for Driving under Influence (DUI) or any alcohol/ drug related offense registered on your name. You have no pending criminal cases against you now. Past crime records also come under the scanner. You are not involved in any major traffic accidents, especially fatal ones. No instances of driving without license or insurance, stolen cars are recorded under your license and name. There is no history of reckless driving or wanton disobeying traffic laws of any state. Uber charges passengers at the end of the journey. The fare is calculated on basis of a base rate, distance and time taken to cover it. Those booking by phone are charged a fee of $1 or $2. During peak hours, Uber charges higher for its rides. This means, there are more taxis available for those who need them. Uber calls these as ‘Surge Rides.’ Fare for a surge ride is calculated on basis of the ‘Surge Calculator’. This means, the basic fare gets multiplied by 1.3 or 2.1 points. Riders are informed about surge rates to ensure there is no conflict later. Taxi drivers are issued a phone with an Uber driver app. This allows them to calculate the amount of money they can get at the end of the day. The app allows you to credit your earnings to a bank account. You are responsible for personal safety, wellbeing of passengers and any damages to your vehicle. However, Uber offers $ 1 million third party liability for third party, $ 1 million for uninsured or under-insured motorist injury. Uber driver insurance policies are also available from the company. In addition, if you have comprehensive and collision cover on your personal insurance, Uber will cover physical damage to the vehicle. This coverage is for the actual cash value of the car. This depends upon the time you dedicate and your car. If you own a luxury car and are available at any time of the day and year, you qualify as Uber Black driver. This is somewhat like working as private driver for some big shot. Only, the vehicle is yours. If you have a commercial license for your vehicle, Uber Black offers airport transfers. This is very profitable and you can get licenses to park, pick and drop people at airports. This is also possible if you have a four or six seat vehicle. Uber X is for cars that can seat four passengers and Uber XL allows you to carry six passengers in a single car. This is a growing trend in US and worldwide. Under Uber Pool you can also use a mini-bus or any other vehicle approved by the company. Here, you seat several passengers and charge them the company fare according surge and non-surge hours. This is your personal choice. According to Uber drivers, the best option is to have your own vehicle. This allows you to choose the type of service you want to give under the Uber brand. Some drivers rent a car and use it for Uber. It depends upon your personal finance. You can become a millionaire quickly with Uber. This is possible if you have sufficient seed money to buy a fleet of cars and assign them to Uber. In such a case, you will need to hire drivers too. This is possible if you meet Uber’s criteria as driver. You can find several car owners who wish to make money when the vehicle is not being used. In such a case however, you will need to fulfill all requirements of Uber about car insurance and ownership. The issue is complex due to a variety of rules in different US states. You can send an enquiry to Uber online and ask questions or suggestions. It is not compulsory to wear any uniform for uber drivers or paint your car with Uber colors and livery. Uber is informal as long as you assure the company and its clients of safe, comfortable taxi rides. There are instances where some car owners have offered Uber to paint their vehicles with the company colors and decorate interiors in accordance with the firm’s policies. 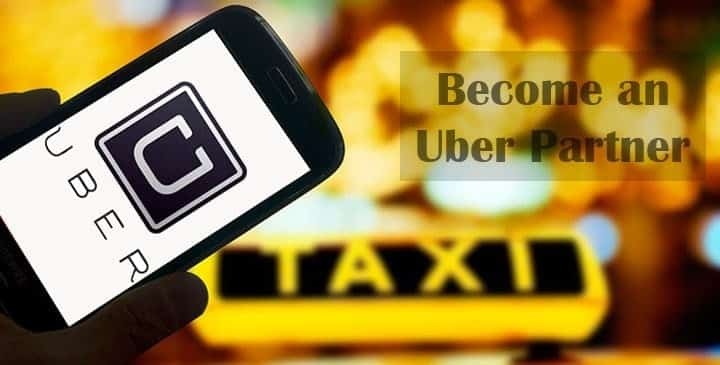 After reading the details like requirements, pay, salary etc., if you would like to become an Uber driver then you can apply on Uber sites here. Excellent… It is such an informative content. It helping for Us.